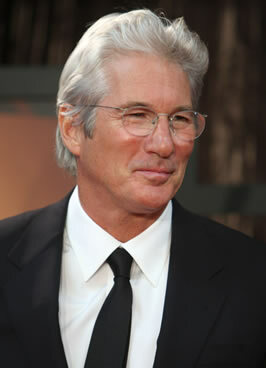 Actor Richard Gere has decided to sell his guitar collection at Christies New York in October. The sale will offer approximately 110 lots, which will include a range of vintage American guitars, including models by Martin, Gibson, Fender, Gretsch and Epiphone models, and a selection of amplifiers, as well as iconic guitars that belonged to Albert King, Peter Tosh and James D’Aquisto. The sale is expected to realize in the region of $1,000,000. As a leading Hollywood figure, Richard Gere is known for many iconic performances over the years, but he is also an accomplished musician and played in such films as Cotton Club and Pretty Woman among others. Mr. Gere studied trumpet, and he is a self-taught pianist and guitarist who has played since his youth. With a passion for American vintage guitars, Gere amassed a personal collection built upon their playability and craftsmanship. Kept and played in his home and office, the collection has been under wraps until now. 1985 Gibson Flying V, Estimate: $60,000-90,000 Documented as a pre-production prototype by Gibson Incorporated, the guitar was formally the property of Albert King. Further details of the sale and catalogues will be available by mid-September 2011.